The indoor flagpole has been designed to give an elegant visual impact for use indoors. 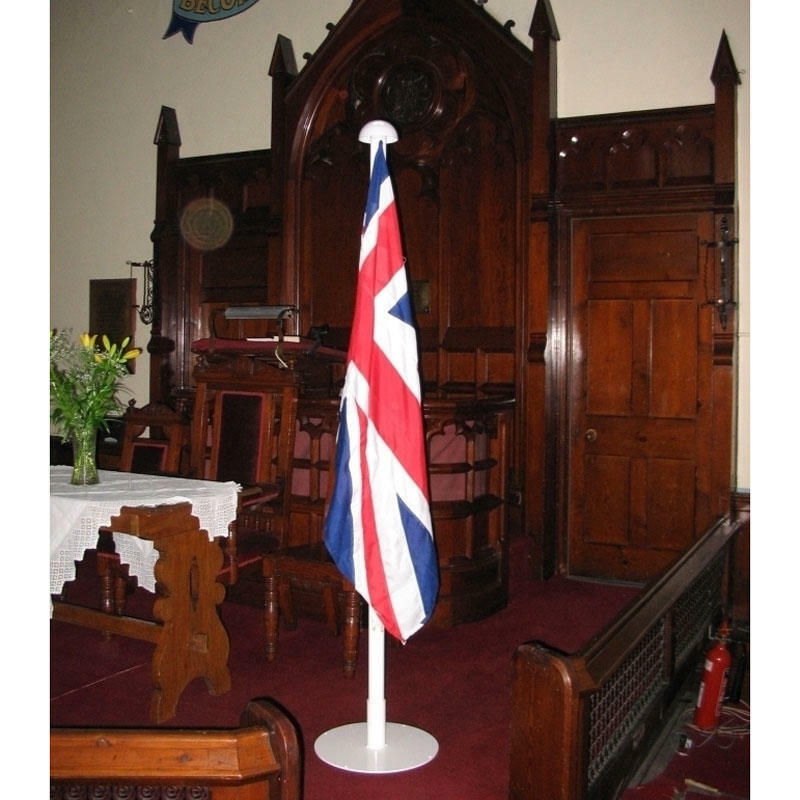 This type of flagpole is made from 50mm diameter aluminium, white powder coated tubes. The indoor flagpole comes with a single flagpole base. Lengths available from 1.5m-3m supplied in a single piece - please select from the dropdown menu the size that you require.